You are here: Home / audio / MayorsManor LIVE – 2012 Stanley Cup Finals preview, right? How great you ask? We have not just one, but two members of the Hockey Hall of Fame – and another guy who will be inducted into the Hall on the first ballot in just a few years. We also have BOTH the long-time voice of the LA Kings and his trusty sidekick for more than 20 years. Need more? How about three members of the Kings’ 1993 Stanley Cup Finals team? 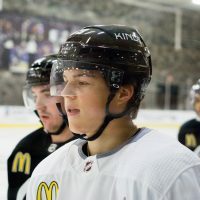 Plus – that’s right, PLUS – we have the current captain of the LA Kings! 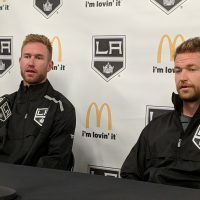 – Dustin Brown will help us close the book on the Conference Finals vs. Phoenix. He’ll give the inside scoop he hasn’t shared with anybody else regarding some of the stuff that was said in the handshake line and offer his personal thoughts on the situation. 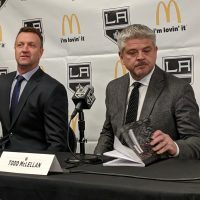 – Luc Robitaille is going to give us his highs and lows from the last 19 years and he’s going to identify his pick for a surprise goal in the Finals. Remember, he correctly called out Jordan Nolan before the second round. So, let’s see who he has in mind this time around. – Former Kings owner Bruce McNall makes another visit to MayorsManor. We’ll talk all about 1993, his relationship with Tim Leiweke, what Wayne Gretzky recently told him and get his pick for this year’s Finals vs. New Jersey. – The incomparable Bob Miller will join us to share many stories and just wow us with his brilliance. Like many of our other guests today, he may just give us a prediction also. – Mike Modano, the only non-Kings oriented guest on today’s show may seem like an odd inclusion. However, after we get done chatting with him you’ll understand why we invited him on. And for good fun, we’ll also see if he can help us determine who is the best American-born hockey player – him or Jeremy Roenick. – Let’s see, 1993 Stanley Cup Finals…who was a central figure in that story? That’s right, none other than Marty McSorley will be joining us to give his perspective on what happened in ’93 and how he’s still dealing with it today. – We’re not sure if he’ll be wearing a blue bandanna while calling in, but Kelly Hrudey will check in to offer his take on both the ’93 Kings team and the current squad. – Jim Fox, our unofficial playoff correspondent the last few seasons, makes a return trip in today. We’ll hit him up for some memories and some analysis. And of course, joining me as co-host again this week will be Dennis Bernstein of The Fourth Period magazine. 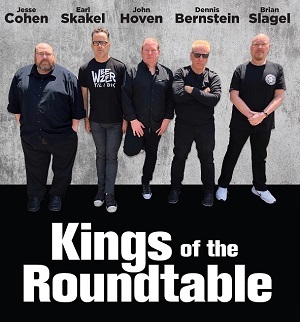 He and I will debate the finer points brought up by today’s guests and we’ll offer some predictions on the 2012 Stanley Cup Finals set to kick off tomorrow between the LA Kings and New Jersey Devils. Get ready for more Kings vs. Devils talk than you will find anywhere else! 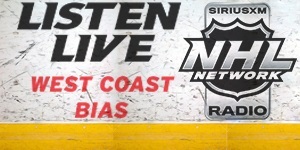 You can enjoy our 2012 Stanley Cup Final preview show via the audio player below or download any of our audio files for free on the MayorsManor iTunes page located here. Listening to this makes me feel like it’s 1993 and I’m 12 years old all over again. This was awesome! Thank you so much, Mayor! Thanks for talking to all these great people. Brought back a lot great memories and now I am really ready for this thing to start. 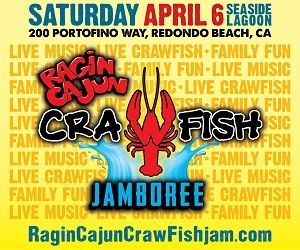 Tomorrow night is the beginning of some more great memories!!! Great job as always. 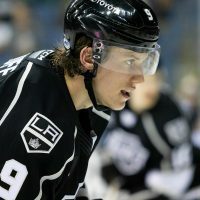 Go Kings Go!!! Great info. Not sure anyone else covering the Kings or even The Stanley Cup Final have these great interviews. Great contacts Mayor. The rest of the media including ESPN are playing catch up. Agreed. This was an awesome lineup, well executed. THANKS!